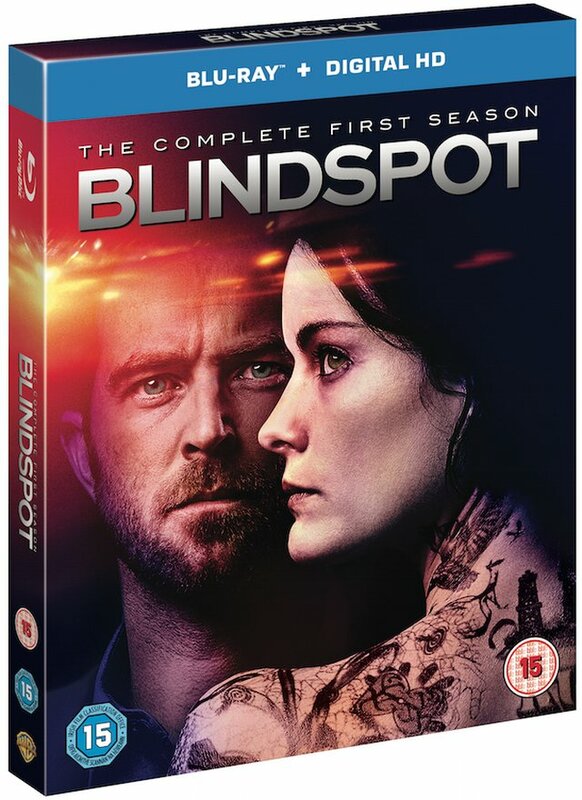 Blindspot: The Complete First Season will be released on Blu-ray, DVD and Digital HD on 3rd October 2016 via Warner Bros. Home Entertainment. Starring Sullivan Stapleton and Jaimie Alexander, Blindspot is created by Martin Gero (The L.A. Complex) and Berlanti Productions (Arrow, The Flash, Supergirl). Blindspot: The Complete First Season features all 23 episodes plus loads of bonus material, including new featurettes, commentaries and deleted scenes from nearly every episode of the show’s first season. Blindspot tells the story of a beautiful woman (Jaimie Alexander, Thor: The Dark World, Agents of S.H.I.E.L.D. ), who is found naked in Times Square, with her body completely covered in cryptic, intricate tattoos. With no memories of her past, and clueless about her own identity this Jane Doe ignites the attention of the FBI, when it’s discovered that one of her mysterious tattoos bears the name of FBI agent Kurt Weller (Sullivan Stapleton, Strike Back, 300: Rise of an Empire). As Weller and his teammates at the FBI begin to investigate the mysterious map of Jane Doe’s strange tattoos, they are drawn into a high-stakes underworld that twists and turns through a labyrinth of secrets and revelations. The information they uncover, might ultimately change the world.